Hey it’s Coach Jon here again. Nag negosyo ka na before? Nalugi. Di kumita. Napagod ka. And deep inside you felt embarrassed? Maybe napahiya ka sa friends mo, sa parents mo, or sa mga kapatid mo. People that you love the most. Nobody wants to feel like a failure and it hurts. Many aspiring entrepreneurs have been in those situations. Oh well, guess what? You’re not alone. I’ve been there many times too. Lost millions of Pesos in the process. The most successful Entrepreneurs in the world have been there too. In fact, they’ve been there many times more than we are. They failed more than they succeed. And guess what? (again), who are the richest people in the world? Entrepreneurs. My point is this: It’s OK to fail. It’s part of the learning process. By making mistakes, you’re figuring out what’s working and what isn’t. You’ll discover things that those people who gave up easily will never know. Or…”Kapalaran ko to. Maging mahirap.” The victim mentality. Hey, I know it’s a cliché but the saying “try and try until you succeed” still holds true. But you can’t keep on trying what isn’t working. You have to try different approaches and see the results. If it’s not working, try a new approach and see the results. If it didn’t work still, try again a different approach. Keep doing that over and over again. When are you going to stop? Until you succeed. My first attempt in business was back in early 2000. Did my business prosper on my first try? Of course not. Fourth try? Nope. And I lost Millions and many sleepless nights. After all those failures I realized that I need to be in a business where I can utilize my strengths, passion, skills, and natural ability. Without all those, my chances are slim to none. It’s like Lebron James trying to play a 3-pt shoot out against Steph Curry. Or Steph playing low-post game against Lebron. That will not work either. That’s why I keep telling Entrepreneurs, time and time again, you need to play where your likelihood of succeeding is higher. One business that failed miserably in the past was a Pharmacy store or botika. I have no experience in retail at all. I don’t know anything about pharmacy. I don’t have a mentor or experienced coach to help me. There are a lot of reasons why I failed to say the least. I read lots of books, attended seminars, and enrolled in many courses. All those investments I made in my education returned multiple times. And most importantly I was able to start a business and have a lifestyle that most people can only dream of. Do you know where I’m sitting right now? 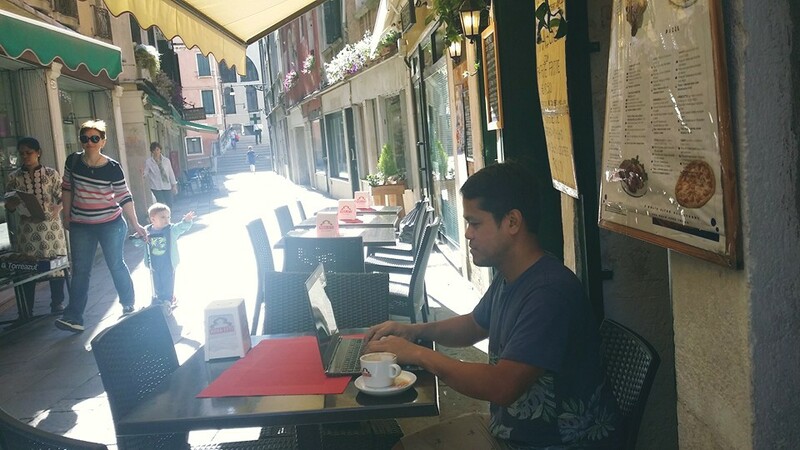 I’m writing this email from a small coffee shop in Venice Italy and sipping hot cappuccino. This is the place where many coffees originated from. 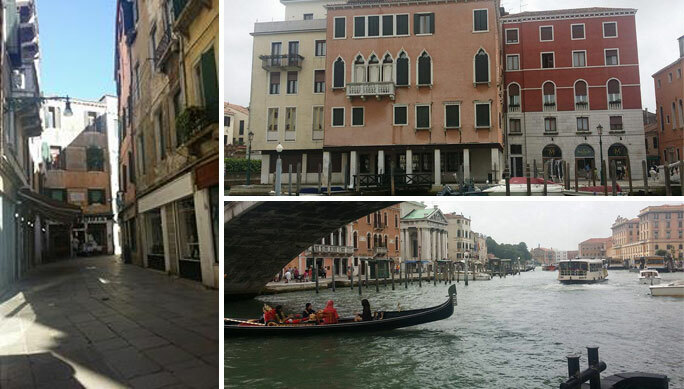 Best of all, it’s just few steps away from the world famous Grand Canal. I’m saying this NOT to impress you but to impress upon you that a dream can come true if you’ll only persist. Start a business where you have higher chance of succeeding. Get started in business with this course..
Wow! you’re millionare pala Mr. Orana. You can afford to loose millions kaya pala it’s really nakakahiya. You can fail a lot of times. Of course. But where will you get the capital if you always lose your money. I’m interested. Pls. teach me how to succeed. I will be opening a mini convenience store and tapsilogan near a call center. Hi sir Jön, you inspired me much…can i share this to my team? Hoping that this will uplift their spirits in pursuing their dreams..
Tnx for such an inspiring story, but how , where, and when to start a business that will make us successfull?i believe that even you have lots of money to start with but if you dont know how . . You will still be unsuccessfull. Its like giving someone a car but you didnt teach how to start and run that car, so its no ise having a car. . Sorry but I’m helping independent entrepreneurs. thanks so much Mr Orana for such an inspiring message. This message intend to all people who needs support from people who have open for helping others. please dont stop giving tips from what you’v experienced. thank you so much and GOD BLESS YOU, always. i have failed several times. I lost lots of money for a business which I thought would help me through a higher ground.now I am trying to get up but I don’t have capital to start a new.Any one who can help me so I can start my baking business please.Thanks! PM me. Convince me, give me your general plan, required capital, other non-financial resources. Sir John when will be your next IBMC? Hope it will be soon..really interested to join..Many Thanks! Will reopen by end of July. Looking forward to this Jon, and hope it will change my life forever..many thanks! May workshop po ba kayo? Seminar? Thank you so much more power and God bless. Amazing experience sir jon now im inspired n willing to learn more about ur buzness pls guide me godbless in the name of jesus….! hi jon,i’d really really like to register then enroll at your coming training bt wla p monetary capacity at this time.please update me on nxt enrollmnt,bka nkaipon n k that time. I don’t want to quit my job yet, so tired after a days work, how can i still manage to make a book? Do you have to be well versed in English grammar in order to make one? Hello bro…am planning to join with the team someday..but still have a doubt in my mind..hindi sa’yo but sa akin. If kaya ko ba? i invested a lot in networking but laging fail..i need a coach like you.am not a good writer thou. HI SIR, i’m now started a new business, i was selling and marketing beauty soap from direct selling company,my client is mostly pharmacy and convenient stores. in the first place po sa pag start ko wala akong idea i have a boardmate na matagal naring ahente ng mga medicine so i gather from her some ideas on how to run especially to entrust my product to my new client. well this product is easy to sell dahil marami din namang users, ang sa akin lang nagself idea lang ako, i need coach to make ways kung paano magpasikotsikot dahil feel ko kulang pa ang aking murang idea pls help I AM AN INDEPENDENT INTERPRENEUR. Ayoko na mag apply abroad,kht nurse ako hnd pdn sapat ang kinikita ko para matustusan ang pangangailangan ng anak ko at pamilya ko. I hope na ito na ang daan para mkalaya ako sa aking trabaho.dahil ang pangarap ko lang naman ay makasama palagi ang anak ko. promise. aaralin ko tlga mga turo nyo kua Jon.. This is very inspiring coach Jon. Thanks for sharing. I read your 23 pages and i am interested. But I don’t know how this all about. Just giving advise and tips by e-books? Do I need to be your member? still confuse. Pls. help.. i need this badly. Thanks. More power. After I had read with some of you’re e-book. Very inspired ang lahat ng e-books mo. I hope you have time to help me with this kind of online business. I’m a working mom before. But I decided to resigned na. And I was thinking na sana makàtulong tong online e-book business na sinasabi mo. Hndi ko rin maiwanan ang anak ko dhil may sakit sya sa puso. This made me cry deep inside right now seeing what you are doing and where it took place,Coach Jon! Mas matindi pa sa bagyo at lindol ngayon sa buhay ko.You hit me! At lintik lang ang walang ganti talaga.I’ll send you a photo of mine on that same spot,you’ll see.Alam ko na kung pano. Thank you and More blessings to you. P.S. Please never stop inspiring and live the dream of future Entrepreneurs. i don’t know how to start a business and i have no money to start even a small business, i’m just a poor staff of a private manpower agency, but when i read some of your stories and saying’s , i feel awake and wanted to learn on how to change my life, hope you will give me some advised how to start a new life for my families welfare and for the future of my children.thanks in advance and God Bless.